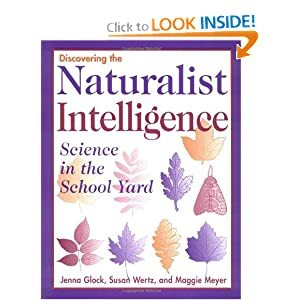 When it comes to understanding multiple intelligence theory and applying it to the classroom, the naturalist intelligence is an essential piece of the puzzle. This teacher resource will help define naturalist intelligence and explore its potential, identify naturalist traits in students with an observational checklist, meet national science standards while using MI techniques in every lesson, and strengthen students’ use of the naturalist intelligence with more than 30 outdoor lessons. Each lesson includes a list of intelligences used, literature entry point, curriculum extensions, assessments that check for understanding, reflection prompts for journals, and tightly formatted directions for teachers.